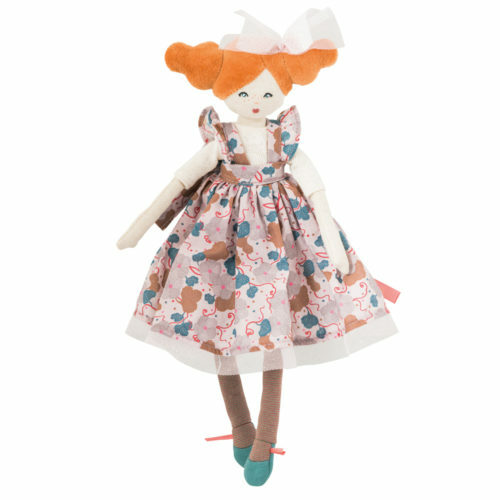 If you love Moulin Roty’s the Alluring Dame from the ‘Il etait une fois’ (Once upon a time) range but are looking for something a bit smaller, then the mini alluring dame would be perfect. Like her older sister, the mini alluring dame is wearing a lovely floral patterned dress, however, a touch of sparkly tulle has been added as a hair bow and trim to the dress’s hem (dress is removable). 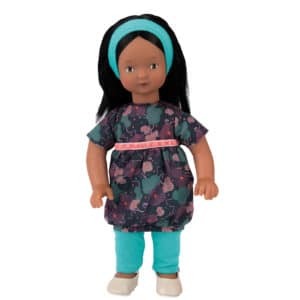 Her outfit is complemented with striped jersey leggings and pretty turquoise shoes trimmed with satin ribbon. 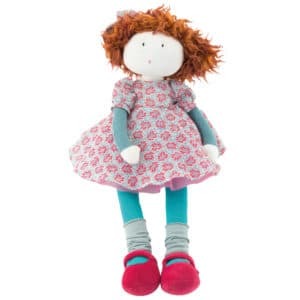 Her facial features are delicately detailed with embroidered eyes & mouth and hand painted nose, freckles and rosy cheeks. 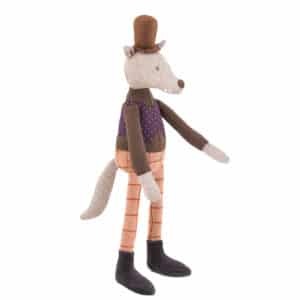 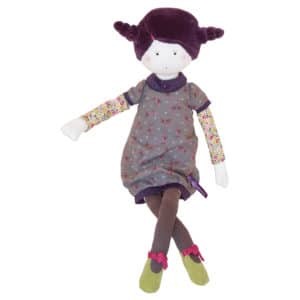 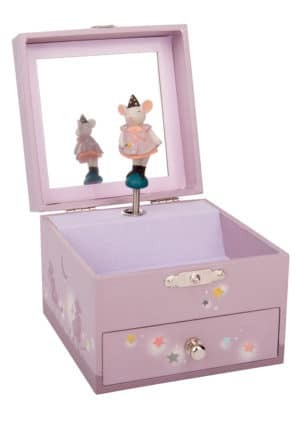 The mini alluring dame, along with the other characters in the ‘Il etait une fois’ range introduce a magical, make believe world, which will help encourage and inspire imaginative play and story telling. 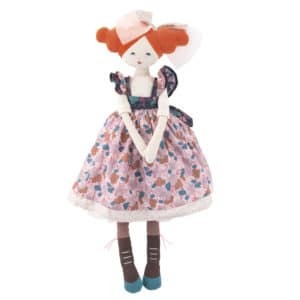 She is very elegant and would make a beautiful gift or collectors item.